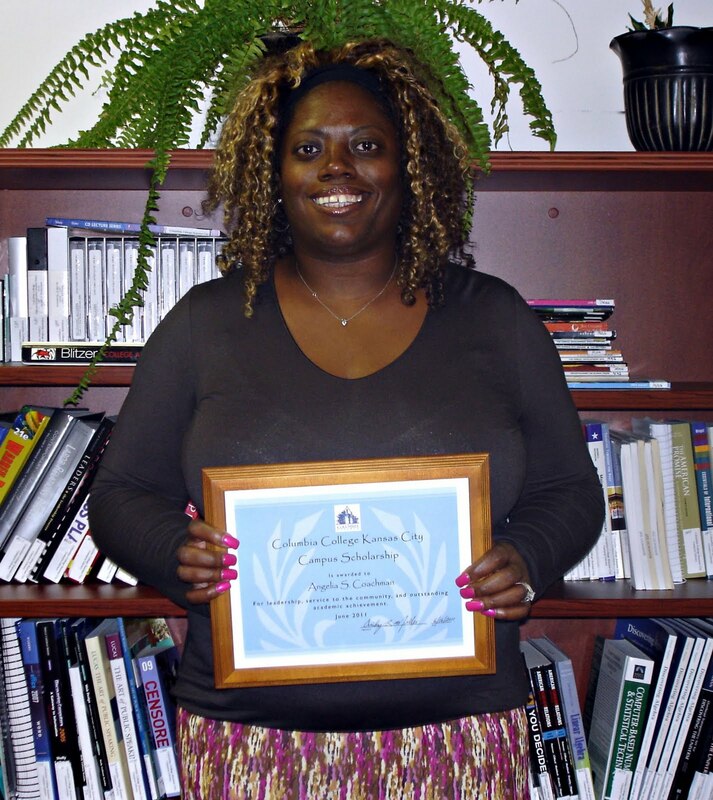 Angelia Coachman was the recipient of the 2011 Columbia College–Kansas City scholarship. This $500 award, used for tuition, is available to one student who is currently pursuing a degree at Columbia College–Kansas City. The student must demonstrate financial need, have completed 12 semester credit hours at the campus, have a minimum GPA of 3.0 and submit a 400-500 word essay noting evidence of financial need and a description of career goals, leadership and community service achievements.